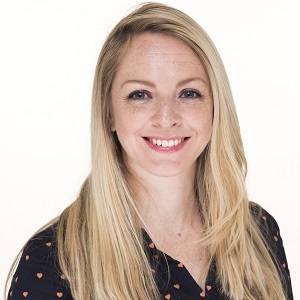 Wendy joined the Beaufort group in 2019 as Marketing Administrator and works closely with the Head of Marketing to drive the marketing and brand building activity for Beaufort Group. She provides marketing support on key activities including website development, social media, brochure development, photography shoots, video creation, newsletters, online advertising, client guides and reporting on PR activity to mention a few. Wendy has over 16 years’ experience within an FCA/PRA regulated firm working in a variety of different roles. She worked as a business systems tester for Holmesdale Building Society, where she tested software releases and looked for new ways to enhance the system software and streamline internal processes. She also worked with a web design firm to create and deliver the Holmesdale’s new website. Prior to this, Wendy was a cashier before being promoted to a Mortgage Administrator, when she obtained her CeMap qualification. During her career she has also worked as a compliance and training manager at a recruitment firm and assisted Belmont Garage on their Hyundai and MG product placement campaigns. Passionate about music and dance, outside of work Wendy regularly challenges herself to learn new styles of dance. When she’s not dancing, she enjoys going on adventures and sharing a bottle of wine with friends.